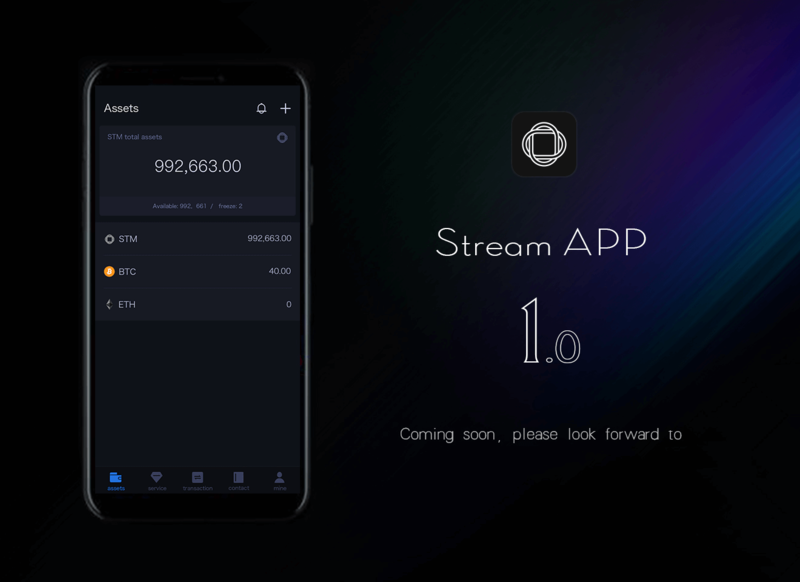 After several months of design and development, Stream App 1.0 entering the final test and adjustment stage, it will be more convenient to manage your wallet, trade, transfer and other functions, will be online soon, so stay tuned! 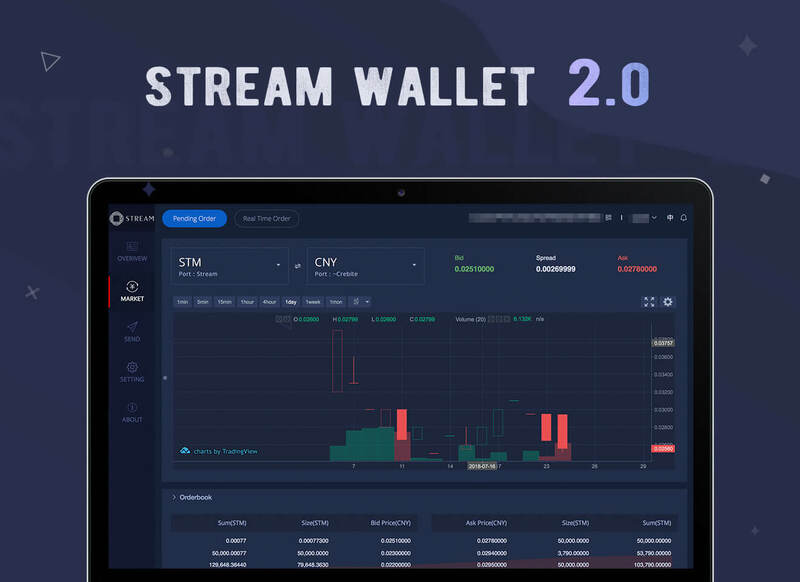 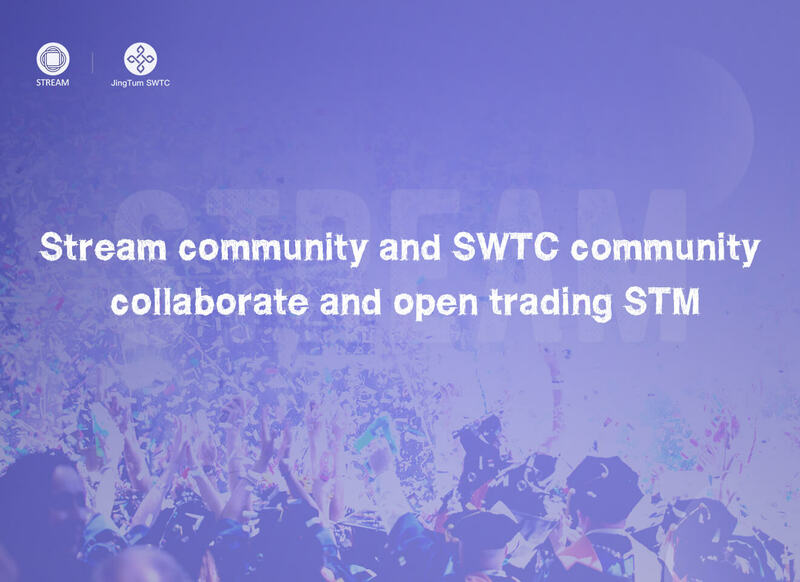 Stream Wallet 2.0 was released on July 23, 2018. 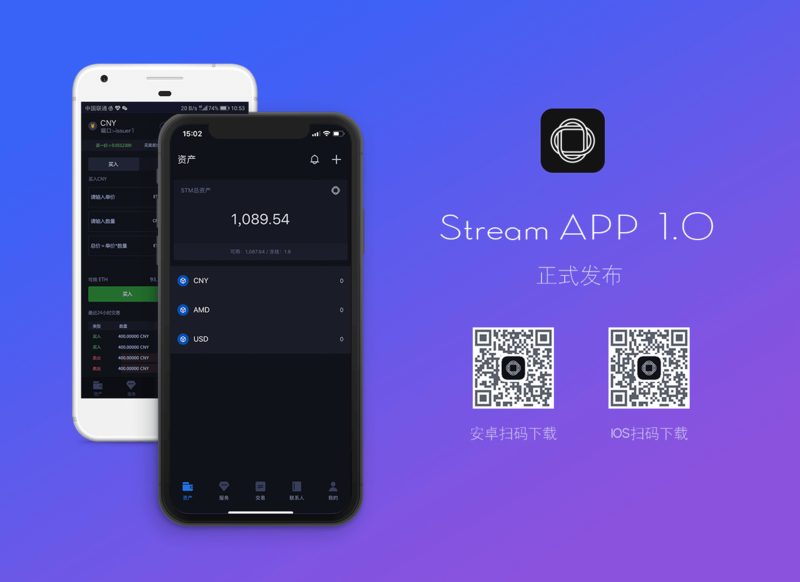 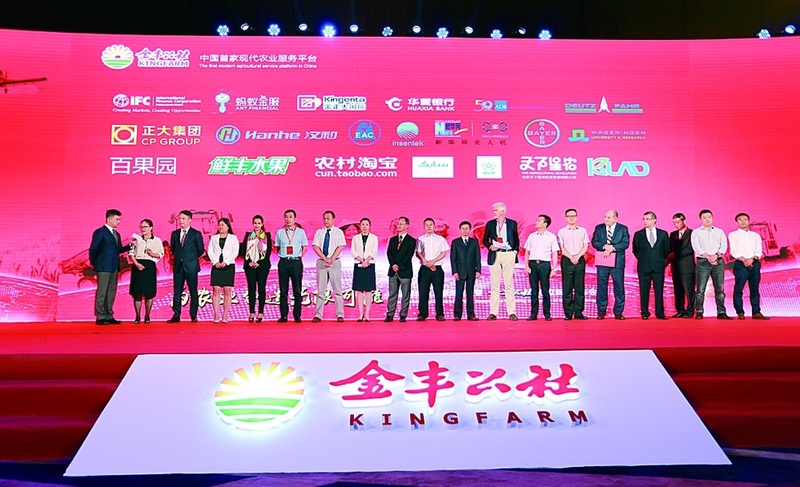 This update mainly adds K-line diagram, optimizes UI layout, and enhances user experience (more convenient choice of ports, optimization of digital digit display, etc. 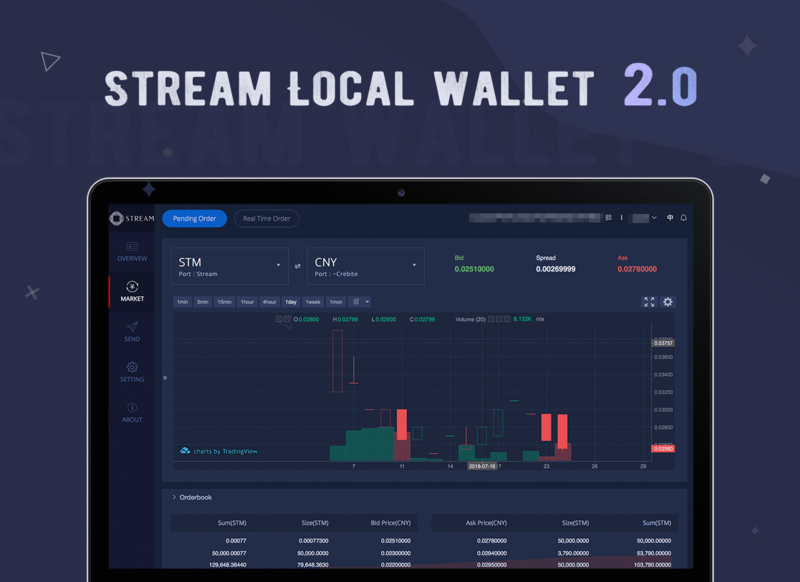 ), local wallet 2.0 will also be updated in the near future, so stay tuned, thank you for your support. 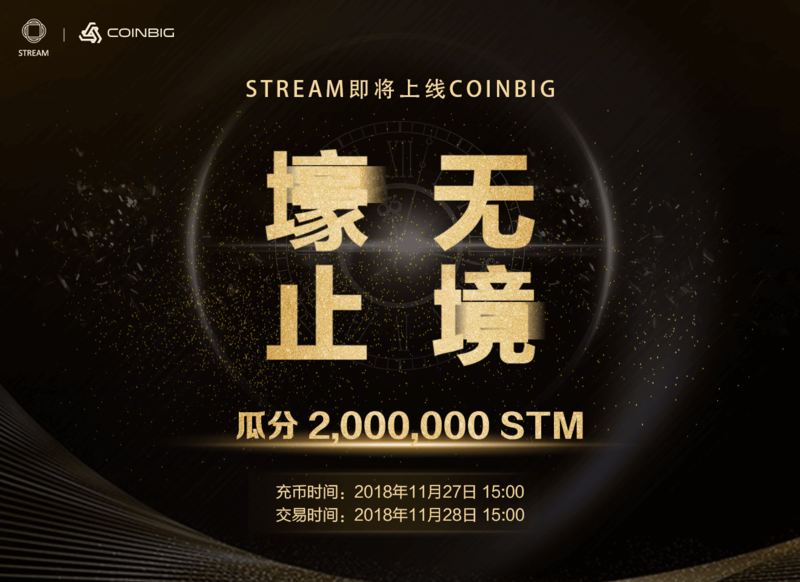 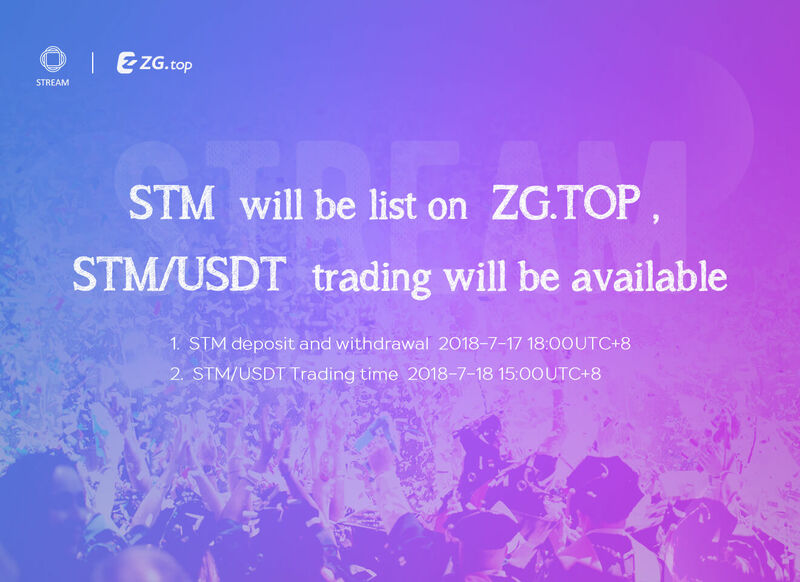 Dear traders: STM will be list on ZG.TOP(https://www.zg.top/) today, STM/USDT trading will be available,time as this： 1.STM deposit and withdrawal：2018-7-17 18:00（UTC+8）； 2.STM/USDT Trading time：2018-7-18 15:00（UTC+8）； The same time ZG.TOP and STM will open trading Contest ,traders will get 9,600,000 token.Please pay attention to notice from ZG.TOP. 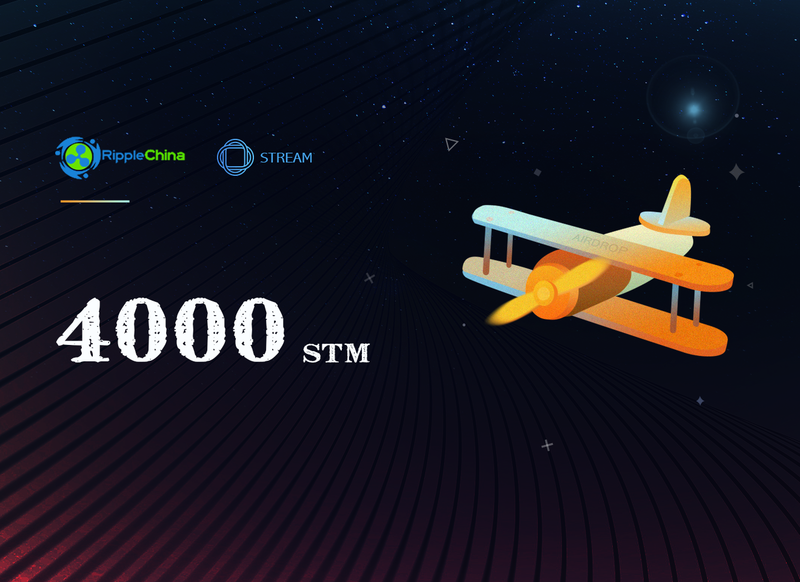 From the 10:00 am on June 22nd to the 10:00 am on the 25th, the STM rushed to vote for the dominance of the Firefly Wallets to win the final victory. 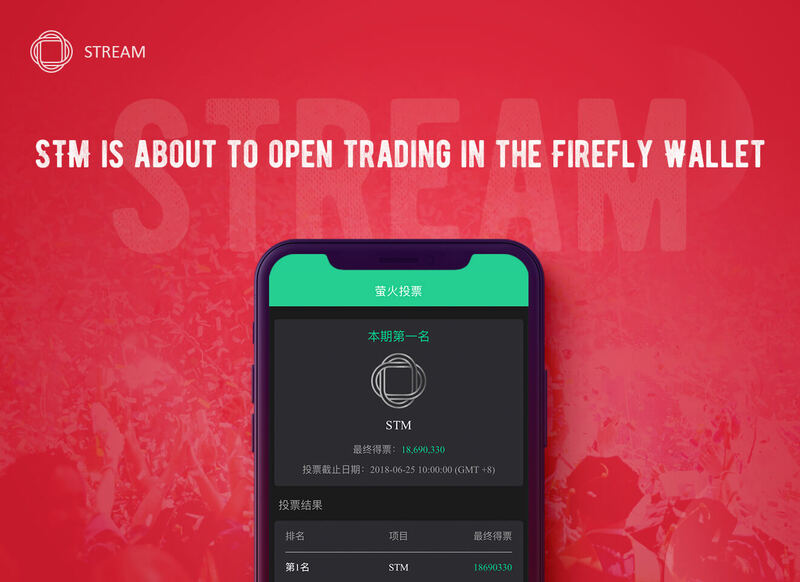 The Firefly Wallet will open STM deposits at 10:00 on June 27th, and go online exchange and airdrop on June 30th at 12:00 noon.